Webster A. Young is the composer and librettist of five operas, including a two-act comic opera, The Wrong Party (1994); two companion one-act operas based on the stories of Hemingway -- The Sun Also Rises and Madrid (1996 and 1998); and a four-act romantic comedy based on his own story set in New York -- Stocks, Bonds, and Doggerel (2000) He has most recently completed a four-act opera on Shakespeare's As You Like It, the first since Veracini's Rosalinda. Mr. Young's great-uncle was Otto Harbach, author of some of the best known lyrics of American operetta, including "Smoke Gets in Your Eyes", "Rose-Marie", and "Indian Love Call". Harbach's older brother, Adolphe, was a conductor, Webster Young's great-grandfather. 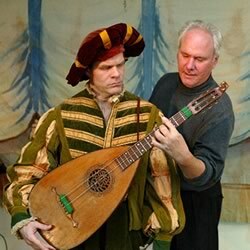 Young became the fifth Artistic Director of the Long Island Opera in 1998, and has presided over a significant strengthening of the forty year old company in Nassau County, NY. The Sun Also Rises, premiered at the Hays Theater in Long Island, was endorsed by important figures of the opera world and received top-notch reviews. Chester Ludgin, the baritone who sang the leads in the premieres of Robert Ward's of The Crucible and Leonard Bernstein's Trouble in Tahiti, said of Young's opera, "The music of this opera should be eagerly anticipated by opera audiences -- and I can say that from the heart." Its concluding tenor aria, "We Danced the Night", was requested by Richard Marshall for performance in the finals of the Center for Contemporary Opera's International Vocal Competition. Before his work in opera Webster Young was one of the most productive American ballet composers, writing the music for ten ballets, many of which earned high praise from critics. His music has been appreciated by PBS television audiences, ballet patrons, and radio listeners in the Pacific Northwest. Cleve Twitchell said of his ballet "Album" that "It is so fresh and lively that it should not be missed by anyone who appreciates ballet at its best." The 1990 International Who's Who in Music listed Mr. Young as "the most prolific composer for ballet in the U.S. in the 1980's". 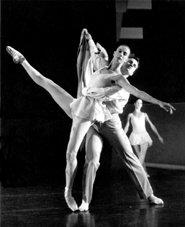 His work was the subject of a documentary film entitled "Two for Ballet", seen on many PBS stations from 1991-93. The film, narrated by ballet historian David Vaughan, focuses on Mr. Young's collaboration with Eric Hyrst, formerly of The Sadler's Wells Ballet of England and contains excerpts from five of their ballets. "Two for Ballet" was aired on 64 PBS stations nationwide and is available for educational distribution through Cinema Guild, Inc., New York. The music of Webster Young has been published by Musicnotes.com (opera arias), Warner Bros/Belwin-Mills Music, Miami (piano music), MMB Music, Missouri (orchestra), and Verdi Square Music, ASCAP, New York (advanced piano).